Book your SIA training event today! In the UK there are specific laws regarding the requirements that it takes to work as CCTV operator. 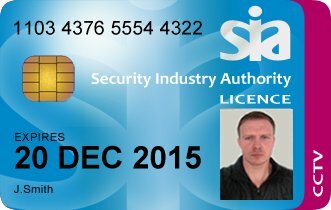 This SIA CCTV license and training process ensures that the people who are working in positions of authority (as security) are trained properly and understand the importance of their position within society. CCTV operators are involved in the gathering and storage of evidence leading to the prosecution of perpetrators. This is a great responsibility, and one that is not to be taken lightly. That is why it is vital that learners receive effective training before working in a CCTV control room.